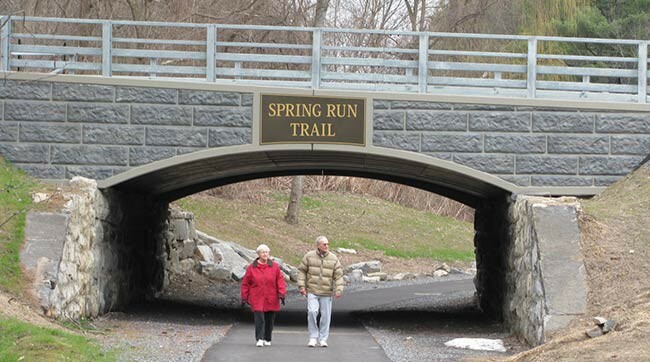 Spring Run Trail is an off-road, handicapped accessible pedestrian and bicycle loop trail path along the Victorian-era railroad bed along the fault line of historic natural springs. The trail is owned and maintained by the City of Saratoga Springs. In the 1800s, a railroad shuttled passengers between downtown Saratoga Springs and Saratoga Lake for recreational fun, with mineral springs and mud baths along the way. Much of this railroad bed still exists. 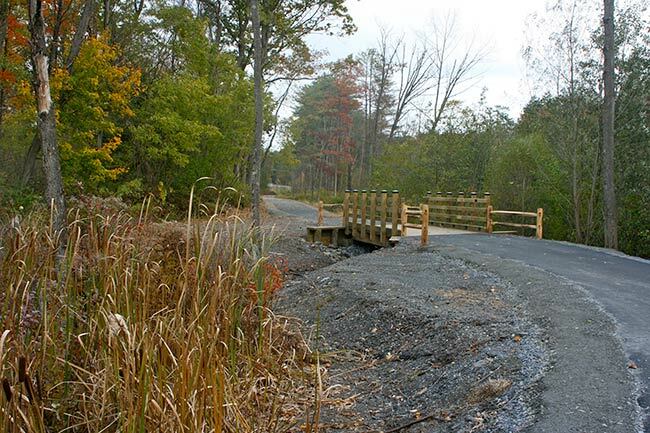 In 1996, with funding from the New York State Council on the Arts, one of the predecessor organizations of Saratoga PLAN developed a conceptual plan for the Spring Run Trail. The Trail Plan was rolled out to city officials and the community through two public planning meetings in 1998, attended by hundreds of people. 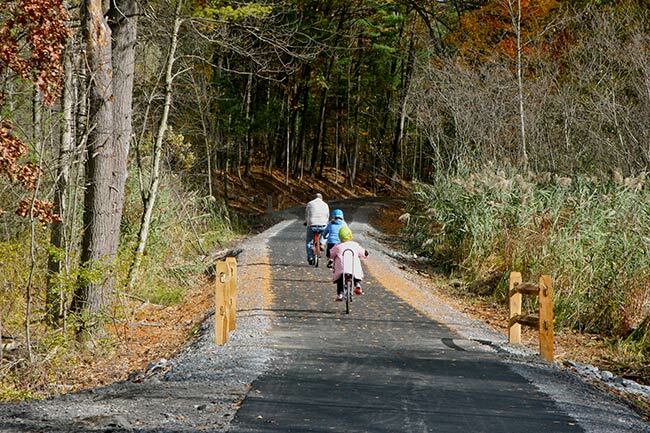 The plan met with widespread community support, and then Mayor J. Michael O’Connell listed the development of this trail as one of the top ten priorities for the city. Subsequent administrations have all supported the project, and Mayor Scott Johnson was instrumental in securing the stimulus money that allowed trail construction to begin in 2010. Historic elements and features have bene incorporated into the trail design, including reusing the stone bridge abutments at Excelsior Springs Avenue, placement of retaining wall tones along the trail’s edge, and the original railroad mileage markers can still be seen along the trail.